Objective- The Learner will be able to use line and shapes to draw creative bugs. Using the Leumans, read How Many Bugs in a Box? by David Carter. I zoom in close so only the bug box is on the screen. 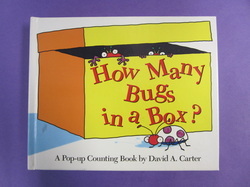 Little ones can guess how many bugs they think will be in each box. I have them tell me what color the boxes are as I read. After reading the book, model drawing the bugs using different shapes. Add patterns and fun details.